LiteManager — bilgisayarlarınızı uzaktan internet veya yerel ağ ile yönetmenizi sağlayan bir programdır. Böylece uzaktan eğitim sağlayabilir ve çalışanların iş aktiviteleri gözlemleyebilirsiniz. It's safe bet to say, that most of us coming here are home users. And, this helps the us how? Thanks to GOTD and litemanager for the offer. Looking on the bright side, there always tomorrow. Jim C, while I can't say how well this particular GAOTD works I just wanted to address how it could help some home users. When I'm at work there are times it would be really convenient to connect to my home system to download a file I had forgotten or run a task (funny but I'll test GAOTDs primarily at work on a VM and if I really like something I'll remote into home and install it right then before I forget & the clock runs out on the offer). My home system is set up with wake-on-lan, meaning I can power it up from work by sending it the home adapter's MAC address in reverse. Once it boots I'll link up with VNC and it's like being in front of the home screen with a upload and download file option. 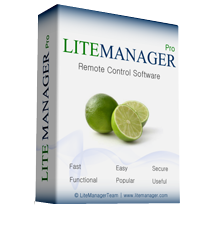 I assume LiteManager has the same functionality as VNC client/server and would be an alternate way of 'phoning home'. Of course this also works from a laptop when you've got access to a hotspot like Starbucks or McDonalds. Jim C, while I can't say how well this particular GAOTD works I just wanted to address how it could help some home users. When I'm at work there are times it would be really convenient to connect to my home system to download a file I had forgotten or run a task (funny but I'll test GAOTDs primarily at work on a VM and if I really like something I'll remote into home and install it right then before I forget & the clock runs out on the offer). My home system is set up with wake-on-lan, meaning I can power it up from work by sending it the home adapter's MAC address in reverse. Once it boots I'll link up with VNC and it's like being in front of the home screen with a upload and download file option. I assume LiteManager has the same functionality as VNC client/server and would be an alternate way of 'phoning home'. Of course this also works from a laptop when you've got access to a hotspot like Starbucks or McDonalds. 1) How is this different from TeamViewer (free), which I use all the time? 2) Does this have a portable version (like TeamViewer) so that I can use it at work without installing it (so at work I can see my home PC where it IS installed)? 3) Does it have unattended access like TeamViewer? 1) How is this different from TeamViewer (free), which I use all the time? 2) Does this have a portable version (like TeamViewer) so that I can use it at work without installing it (so at work I can see my home PC where it IS installed)? 3) Does it have unattended access like TeamViewer? Thanks. 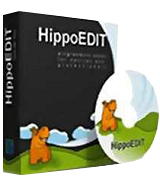 We have been working since 2010, check our software on virustotal or other secure sites. glnz, No politics please) We have been working since 2010, check our software on virustotal or other secure sites. LM is clear. I wish at least one LM Team member will be around to answer some of the questions!